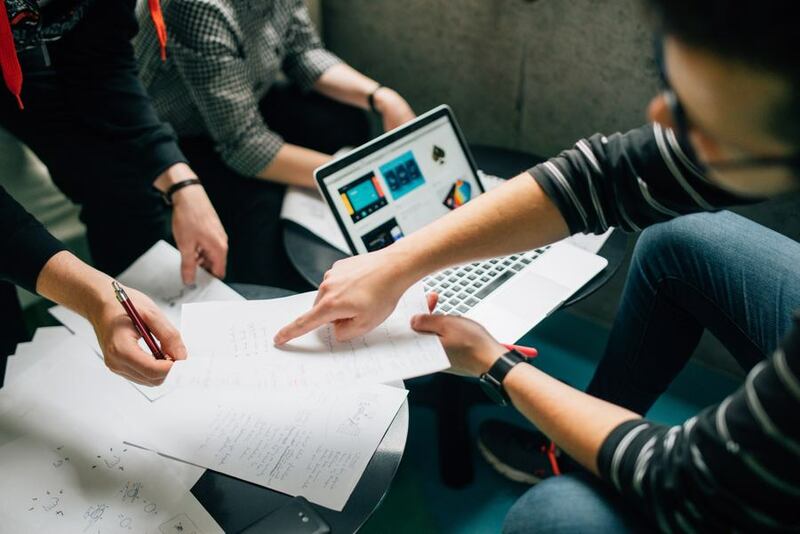 Despite its unconventional structure, unstable job security, and irregular work routines, there are many things that can be learnt from successful startups. A key facet to the entrepreneurial process is failure. Through constant experimentation, the success of many entrepreneurs and their startups are often attributed to trial and error. If you don’t learn from your experience, failure can hold you up from success. On the other hand, if managed correctly and effectively, failure can be a good thing as you’ll become wiser, know what to avoid in the future, and will know how to take the right steps to achieve success. A tip to learn from your mistakes is to compile a list of all the mistakes that have occurred without attributing blame.The next step is to carefully consider the causes – and judge whether you have made similar errors or if they are a broader set of miscalculations. Furthermore, you will be able to determine your repeated poor judgements, habitual actions and ways of thinking. Then list out the lessons you need to learn, and brainstorm ways to do things differently to avoid making the same mistakes. It may be valuable to take advice from someone with more experience than you – it could be a mentor or work colleague to help you recover. With these strategies in facing failure, you will have a more positive outlook on mistakes due to your constant learning and improvement. Startups that want to break into their marketplace need to be constantly updated with their chosen market to not be left behind. What makes startups agile is that they disturb the stagnating markets by understanding what customers need and thus swiftly create solutions through their product or service. To keep up to date with your market landscape and the competitors within it, embrace customer feedback by reviewing them frequently, read industry news, and constantly carry out market analysis. If you stop striving for innovation, your competitors will seize this opportunity by developing better solutions. Knowing what the gaps are in the market and what your customers want will give you and your company the opportunity to innovate the industry and better satisfy demand. Big companies have access to large teams and usually operate on bigger budgets. A downside to this is that they can become less courageous to be more efficient or fail to see the reason to innovate. For example, the attitude of an old company doing what they have always done can lead to the reliance on outdated methods as opposed to the use of efficient tools that can have a positive impact on their work practice. On the other hand, startups have more motivation to be resourceful and creative to seek efficiency as they usually operate with a smaller team and a tighter budget. With their lack of resources, startups aim to work faster and sharper to get their product or service out in the marketplace before their competitors.This includes regularly scanning their industry for the latest tools and trends that can positively impact their competency and productivity in their work practice. The simple strategy of keeping up with industry news, competitors and technological developments will help you see whether any improvements to efficiency at your workplace can be made. The effort of having an agile and smart team doesn’t end at finding talent. As startups usually can’t offer better pay than larger corporations, they are more lenient towards hiring less-experienced employees, and offer them incentives such as consistent inhouse training. Furthermore, as startups have smaller teams – one common method of training is achieved through behaviour modelling. This is because founders usually work physically alongside their teams. A good learning ground for leadership is a startup. There are many great qualities that the corporate world and big organisations should try to adopt from startup entrepreneurs in terms of leadership. A typical corporate leader works within defined boundaries and these boundaries become constraints to perform well and innovate. One of the most important aspects that you can take away from startups is their participant style of leadership as there are no defined roles and boundaries within the company. Startups are less autocratic as opposed to the corporate world. They are more democratic when it comes to decision making, and this can contribute to the growth of the company. Entrepreneurs are not afraid to ask for help, and are willing to experiment with different ideas as they are not afraid of failure. Part of participative leadership is that even though the leader makes the final decision, they are more willing to discuss it with their fellow team members. As this environment has less gatekeepers, team members are more willing to bring their own ideas forward and this is where innovation happens. You will find roles are more fluid in a more collaborative environment, influencing team members to do everything they can to get things going. Another great leadership quality that you should take away from startups is their determination and dedication despite their limited resources and lack of time. This is evident in the everyday act of constantly juggling between the startup’s survival, long-term vision – and their fast decision-making to respond to the marketplace. Bigger organisations should take this style of leadership and its collaborative environment into consideration as it allows them to be more competitive in terms of rapid changes in the marketplace due to digitalisation and globalisation. Become more effective in your work practice and see the positive changes in your workplace with the help of some business training and keeping the above 5 points in mind.